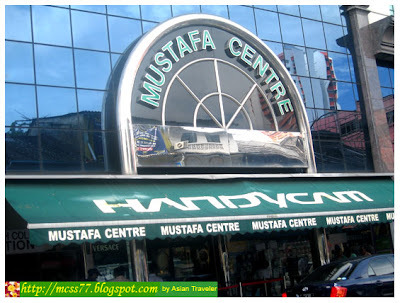 Mustafa Centre is located on Syed Alwi Road in Little India. It occupies one entire block on the eastern side and it is the only place open for 24 hours in Singapore. Some common misconception about this shop made us a little bit apprehensive, not knowing exactly what to expect. I can't believe that this place is a shopping Mecca, more than I thought would be. 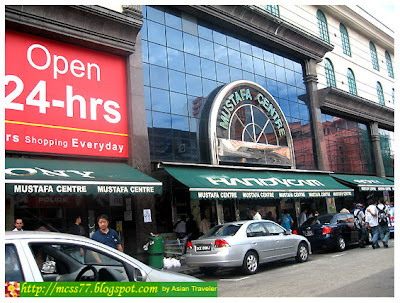 Mustafa offers 15,000 types of merchandise at some of the lowest fixed priced in Singapore. Since I'm a WATCHaholic who simply adores watches, I was like entering a wonderland dazzling with eclectic mix of trendy and functional designer watches to be had. It offer pickings aplenty! I had a guilt feeling when I saw the same watch that I bought from another store. It was sold here in Mustafa at a lower price. haaay... Nevertheless, I still got another watch for myself, a GUESS Limited Edition Ladies Box Set - Gold Plated and Ivory Dial Color Quartz Movement with Light Brown Camel Croco Leather strap and with extra White Interchangeable Strap. Yippee!!! Another items that are in great supply here are jewelries, perfumes and electronic goods & gadgets located also at the ground floor. Then we went to the second floor where the supermarket is situated. Hb left me so I had a shopping galore all by myself. I bought oodles of chocolates and candies. 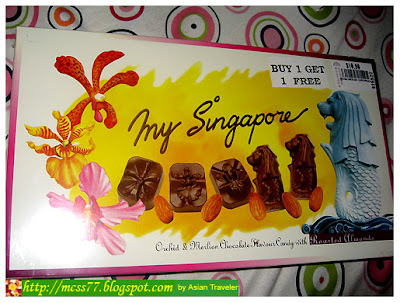 Believe it or not, my most favorite is "My Singapore: Orchid & Merlion" chocolates. :) The chocolate was delectably delicious combination of smooth chocolate and surprisingly crunchy of whole roasted almonds. Darn! Now I'm salivating just thinking about it. hahaha... It was undoubtedly a brilliant indulgent treat for a chocoholic like me. I also bought some grocery items and a few flexible Singapore refrigerator magnets (S$1.80 each). I started a new hobby as a "Country Fridge Magnet" collector when I started to travel. Shopping in Mustafa Centre is a shop 'til you drop with no guilt since this caters mainly to the budget market where you can also practice your bargaining skills. There is almost nothing you won't get here ranging from books, food, clothing, footwear, sportswear, household appliances, CDs and DVDs and others. This place is a must for budget shoppers.